It was quite surprising for me how rich this game is. 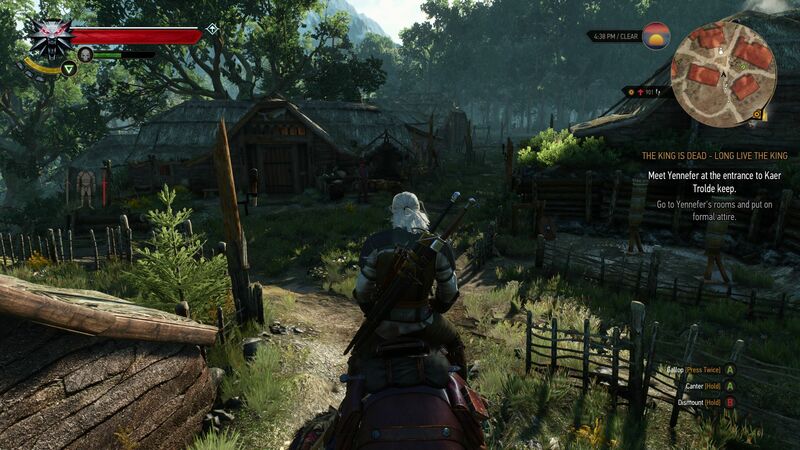 Is simply the best RPG game I have ever played so far in my life. And what called my attention is how the Designers solved the interfaces. Simply everything falls into place and the experience is super fluid and intuitive. When not, the tutorials provide deeper learning. I play in PS4, so I will focus my small analysis in this platform. You can access the gameplay menu by pressing the touchpad button. Then you have access to the options: “Alchemy”, “Inventory”, “World map” , “Quests”, “Character”, “Meditation”. 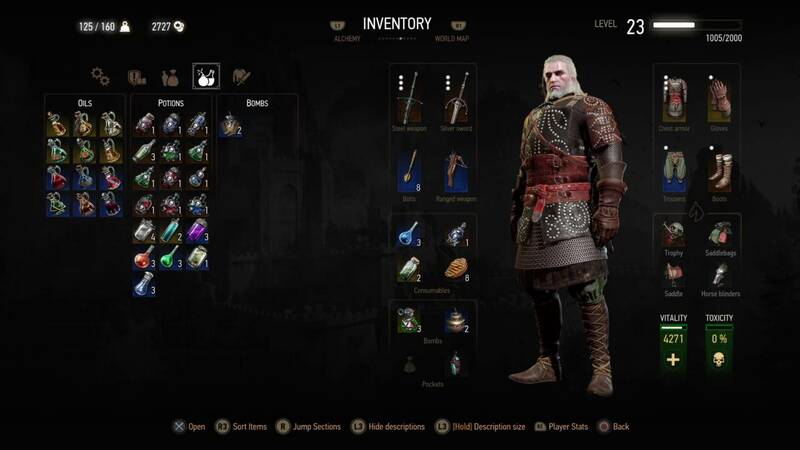 The inventory interface provide all you need to customize your character, apply upgrades, fix items, compare between inventory items and equipped items, check your “pockets”, your horse gears, armors, weapons, potions, etc. All very self-explanatory and easy to use. The volume of information provided in these screens is enormous. Is quite a lesson on solving huge amounts of interactive information in a screen. To navigate between the other options, simpy press the r1/r2 and you will navigate to the previous/next option. This game allows gestures on the touchpad as well for quick access to the map for example. Just amazing. This game is huge and there are many interesting screens. I will not go deep here in this post. My intention is to bring awareness to this incredible game, and as an Interaction Designer, is super interesting reference and inspiration. So I leave here my recommendation. If you are a Designer, or simply a gamer or a RPG player, you MUST check this game out and all the ‘richness’ of its interfaces and interactions.